The light fragrance of menthol in Benefit Water Therapy is calming and soothing, while promoting a feeling of overall well-being. It promotes clarity of the senses. This isn't a heavy, minty smell of eucalyptus, but more of a subtle hint of clean refreshing mint, rosemary, and other herbal botanicals. 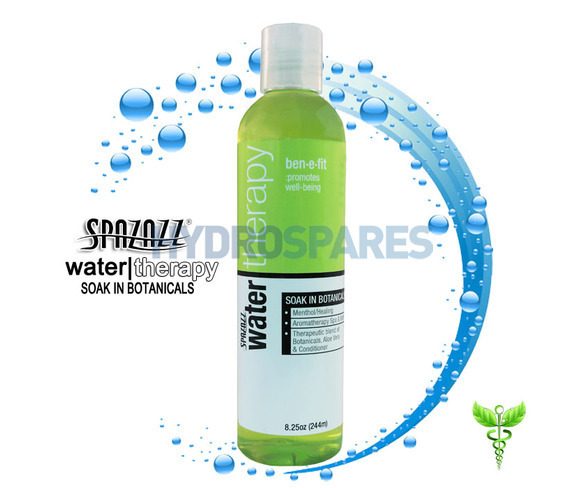 Benefit Water Therapy will suit anyone looking for a soothing fragrance, whether in the hot tub, bathtub, or shower. Best of all it is spa safe and oil free! The Benefit Water Therapy can be used in steamers as well! NIce product. Stronger aroma than the bath salts which is what we prefer.